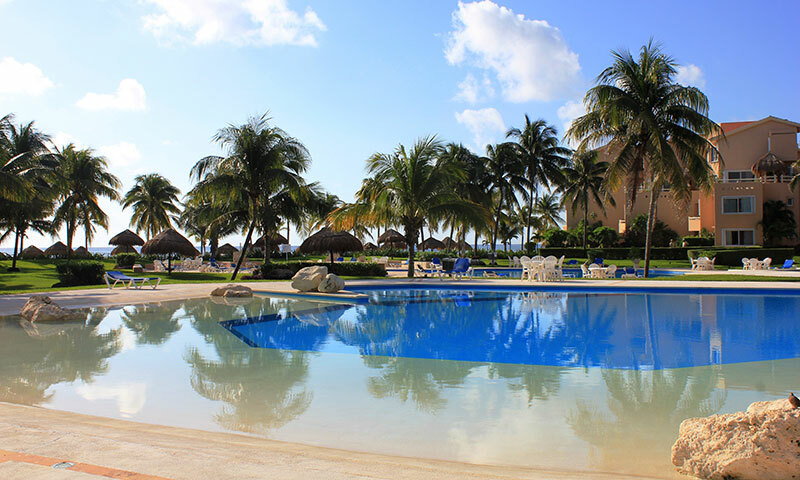 Chac Hal Al condominiums were the first to be built after the conception of Puerto Aventuras in the mid 1980's. A U shaped complex is composed of several 4 story individual buildings, half of which face the ocean and the other half facing the marina. The complex is located on the north end of the main beach on Fatima Bay. 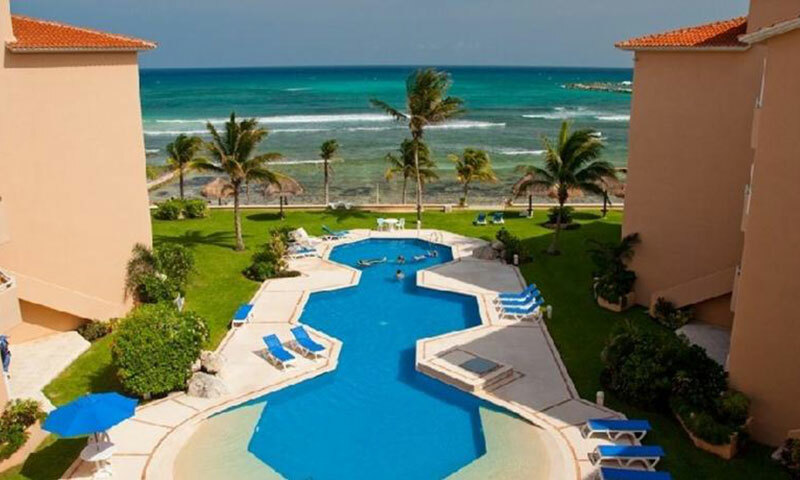 Luxurious oceanfront condominiums in Puerto Aventuras at the exclusive Punta Roca. 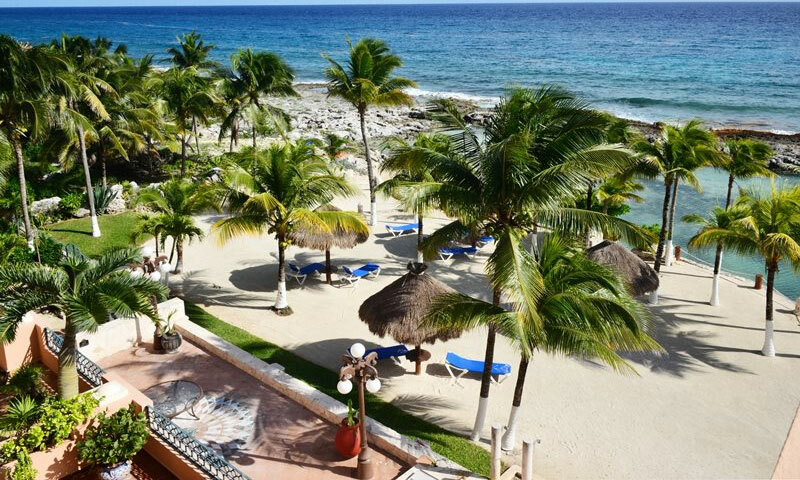 The landscaped grounds of Quinta del Sol offers a lush, landscaped beachfront property on Fatima Bay, kayaks, 2 pools, peace and tranquility and an easy 6 minute beach walk into downtown Puerto Aventuras. 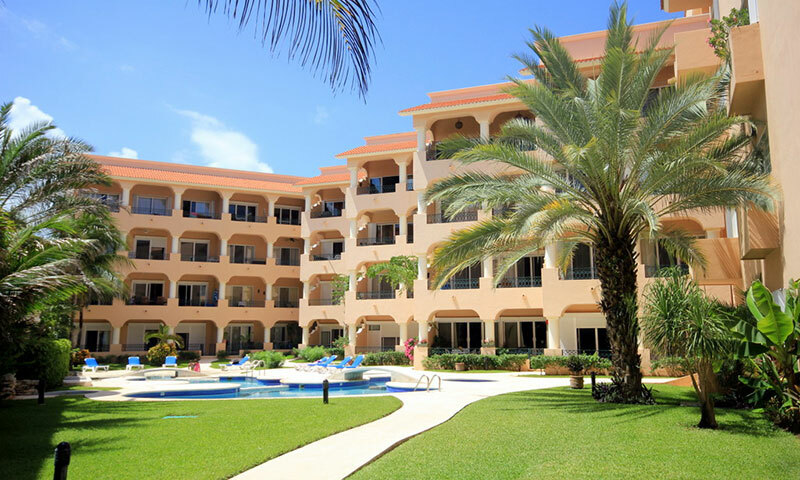 The privately situated Quinta Luna building is located on the south end of Punta Brava and is a favorite among those in the know. 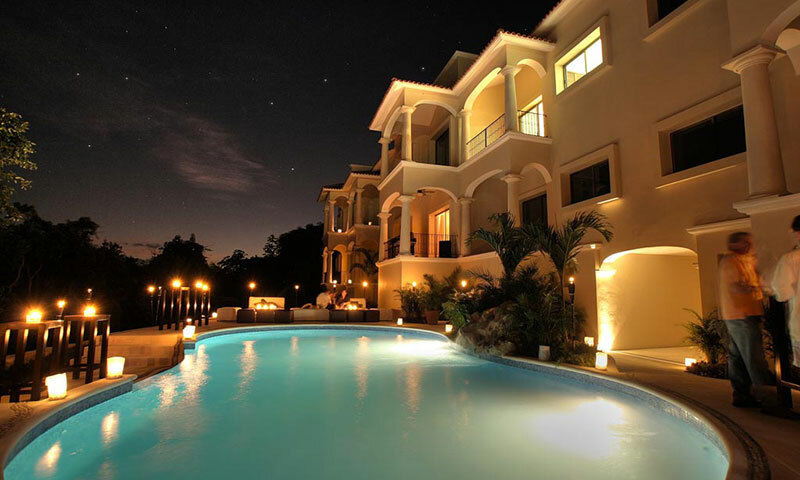 The best of both worlds, Quinta Luna sits between rocky coast and a private, sandy beach facing a salt water lagoon. The lagoon is great for families with young kids but also opens to the Caribbean ocean for those who would like to take advantage of the incredible snorkeling area, directly in front of the property. 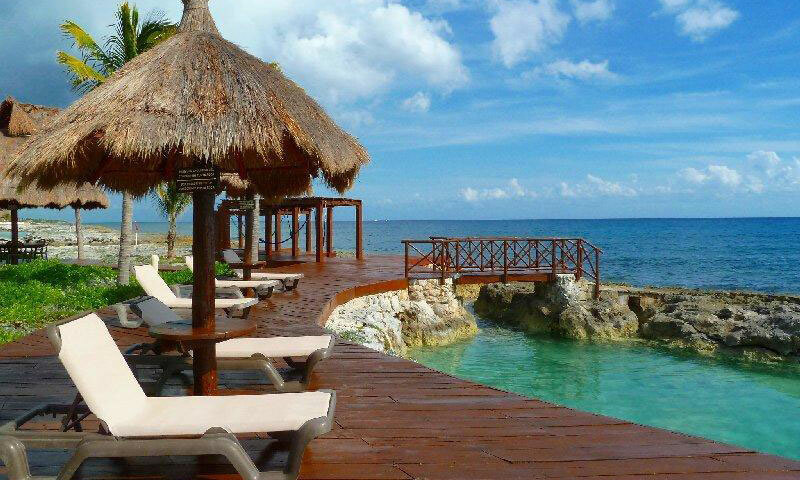 Villa del Mar sits on a slice of some of the best real estate in Puerto Aventuras. Centrally located on Fatima Bay, it also has the widest part of the beach directly in front of the property. The U shaped complex faces the ocean and consists of five buildings, three to four stories in height, for a total of seventy two units. Located on Fatima Bay, Villa del Mar II was built by the same developer as Villa del Mar. This U shaped, three story, beach front complex of thirty two condominiums is an excellent choice for those seeking the luxury of Villa del Mar at lower rental rates. Accommodations range from one room studios to three bedroom homes. All units have fabulous Caribbean views. 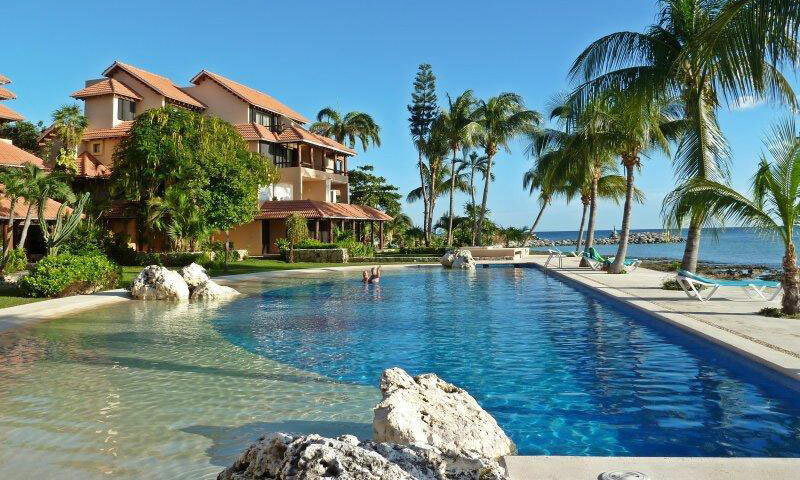 Located just inside the gated community of Puerto Aventuras, Villas Talia sits nestled on a hill overlooking a tropical jungle. Parrots, Yucatan Jays, Chachalacas, Orioles, hummingbirds and more all make their home here and the morning birdsong is like a soft symphony.